Kinder Morgan has always publicly expressed confidence in the project. But it's certainly made wiggle room to back out if the script continues along its current path. On Thursday, the provincial NDP government made an announcement about a natural resource project in British Columbia. The announcement didn't guarantee the project would proceed or fail — but it was another step in the saga that is now several years in the making, pitting environmentalists and many Indigenous communities against proponents of the project, who promise it will deliver jobs and energy security for the province. A final decision is expected at a later date. Yes, you could be forgiven for having energy exhaustion: between the Site C hydroelectric dam, the Enbridge Northern Gateway pipeline, any number of LNG pipelines and plants, and the Kinder Morgan Trans Mountain Pipeline, there are plenty of megaprojects dominating the discourse in British Columbia, with no end in sight. But the B.C. government announcing they were lawyering up for a legal challenge of the Trans Mountain pipeline project is significant, creating close to total agreement in B.C. among provincial, municipal, and Indigenous governments — and in complete contrast with the federal Liberals and Alberta's NDP. And yet, it was hard to find as much jubilation or anger in people's responses on Thursday. Possibly because it seemed everyone expected a new government would take a new strategy. "I think it's them delivering on what they said they would do," said Stewart Muir, executive director of Resource Works, an organization oriented toward communicating the economic benefits of resource extraction. "They're delivering on an election promise. They said they would be looking at this, they've refined their action plan ... and in proper sequence, we're seeing them come forward with specific actions." The previous B.C. Liberal government allowed Ottawa to make the final approval for the $7.4 billion pipeline, which will nearly triple the amount of oil products moved along the 1,150-km route from Edmonton to Burnaby. That means the NDP, for all its rhetoric, can't legally block the project if the courts ultimately rule that consultation has been adequate. But by placing more regulatory and legal straws on the camel that is the Trans Mountain pipeline, they could eventually break the will of Kinder Morgan to see the project through. 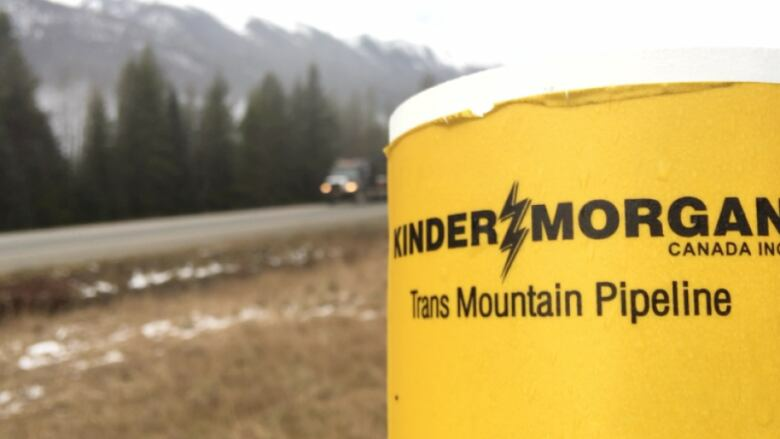 "The Trans Mountain Expansion Project has undergone an unprecedented level of scrutiny and review," the company said in a statement — not the first time they've shown some exhaustion with the process. In a regulatory filing made before they launched an IPO to raise $1.75 billion for the pipeline, they outlined several "risk factors" that could doom the entire project. Can B.C. stop the Kinder Morgan pipeline? "Changes in government, loss of government support, public opposition and the concerns of special interest groups and non-governmental organizations may expose the Business to higher costs, delays or even project cancellations," was one line. "The failure by the Business to resolve issues relating to Aboriginal rights and title and the Crown's duty to consult could have a material adverse effect on the Trans Mountain Expansion Project and/or the Business," was another. Kinder Morgan has always publicly expressed confidence in the project. But it's certainly made wiggle room to back out if the script continues along its current path. Unique Indigenous rights in B.C. There's more than a little bit of symbolism in the government hiring Thomas Berger to oversee their legal strategy on this file and to show their intent in respecting Indigenous rights going forward. It was nearly 45 years ago that Berger was counsel for the Nisga'a Nation in the Calder case, in which the Supreme Court established that Aboriginal title to land could be upheld if hadn't been "lawfully extinguished" — that is, signed away in a treaty. And that case proved particularly important in B.C. While treaties covering much of Canada were signed in the 18th and 19th centuries, that didn't happen throughout much of the province, save for a few small areas. That's led to the current dynamic, where thorny issues of "social licence" and "meaningful consultation" weigh much more heavily in B.C. than in virtually any other province. "I think every nation absolutely has to be on board," said Solomon Reece, chief executive of Four Eagles Development Group. "When we discuss First Nations rights, we don't have a blanket government ... I think every First Nations acts individually, and absolutely has a right to protect their territory." It's not a stretch to say the Kinder Morgan debate, and so many arguments in B.C. over natural resource projects, have their roots in the case Berger argued all those years ago. And it's not a stretch to say Berger's hiring may lead to their ultimate resolution. What is the Trans Mountain pipeline?